It’s a simple problem to define: lack of gainful employment. But its effects are hardly simple. They reach both within and beyond a person’s psyche. Not having a steady paycheck is one type of problem — bills not paid, mouths unfed, and ends unmet. Yet, the loss of pride and self worth associated with unemployment can be much more insidious. Meaningful work can do a lot to repair a person’s pride and their sense of self. 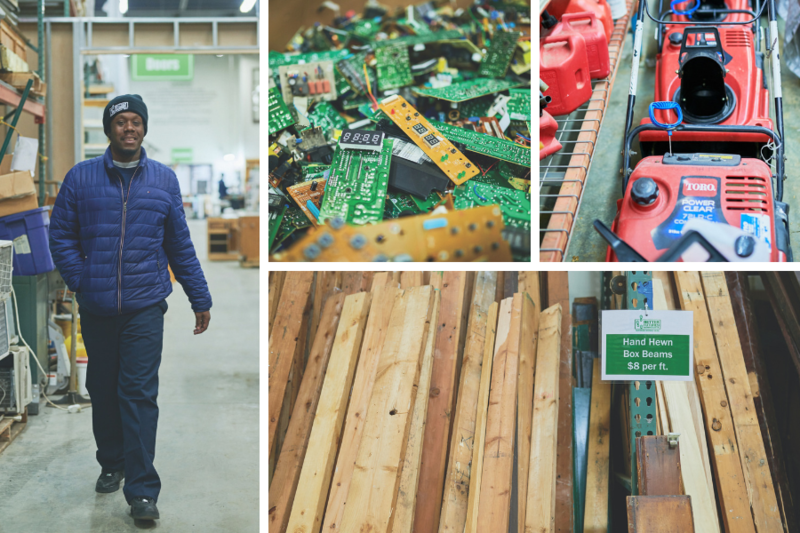 For the past 11 years, Better Futures Minnesota has been helping men do exactly that — earn a living and learn the skills to build a life after incarceration. 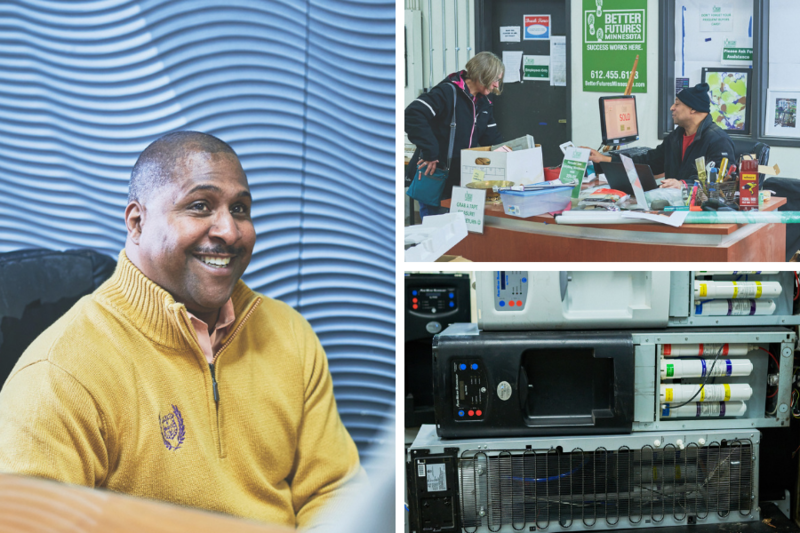 Better Futures provides transitional employment for 70-90 men with felonies each year. They supplement the jobs they create with wrap-around services such as housing, health and wellness services, as well as one-to-one mentoring and life coaching. The program lasts between 8-12 months for each participant and is entirely voluntary. In the past five years, over 400 men have worked with Better Futures. The program focuses first on securing housing and employment. This past year, Better Futures broke ground on an $18M, 75-unit apartment building in Minneapolis’ North Loop, expected to be complete in July of 2019. Along with housing, men receive 16 weeks of on-the-job training and can earn transferable credentials in a range of disciplines. 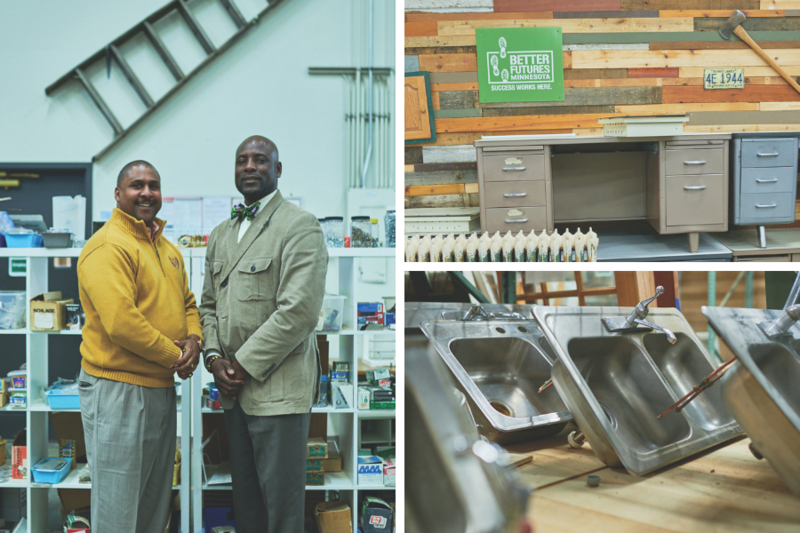 Better Futures is a social enterprise that operates six different lines of business, diversifying their approach to create more job opportunities for the men they serve. Each business line is chosen carefully to ensure its profitability, thus securing funding for the support services they provide to their participants. The credentials and training offer these men a chance to earn a consistent living, and help them see their own worth, but for many men returning from incarceration, a steady job is just the start of building a better future. Between prevalent physical health issues such as untreated diabetes, hypertension, or high blood pressure, and mental health issues such as PTSD, addiction, depression, and anxiety, people recently released from incarceration often struggle to hold down employment, which can lead to a loss of housing and eventually recidivism. Nationwide, between sixty to seventy percent of released felons are arrested again within five years. By focusing on helping men not only through housing and employment, but also with both mental and physical health concerns, Better Futures boasts a miniscule recidivism rate of only four percent. The statistics are impressive, but the stories are even more powerful. Imagine watching a man sign a lease in his own name for the first time in his life. Or watching crew-based job teams encourage each other throughout a transition in which so many falter. Imagine one of the 75 percent of program participants who have children, able to afford a birthday present for the first time since being released. Isreal Moses, Better Futures’ VP of Support Services and Operations, shares a story of a participant who was able to steady his life enough to change his focus from his own well being to that of his marriage. “He entered marriage counseling and reunited with his wife,” says Isreal. “He’s joined his family in the home his wife purchased while he was incarcerated.” These stories are powerful for the men involved, but each one also radiates into the communities these men inhabit. For every man getting back on his feet, there are mothers, children, and siblings with a comeback story to tell. These success stories are numerous, and there are more coming. Better Futures Minnesota has a goal to employ 50 men per day, 40 hours per week by 2021. “Work is therapeutic and is tied to our mission,” says Thomas. Within that simple idea lies the key. Better Futures Minnesota has found the formula for reentry, and for many of these men, perhaps even renewal. Written by Derek Davidson & Photography by Tyson Crockett. Produced by Pollen Studio.